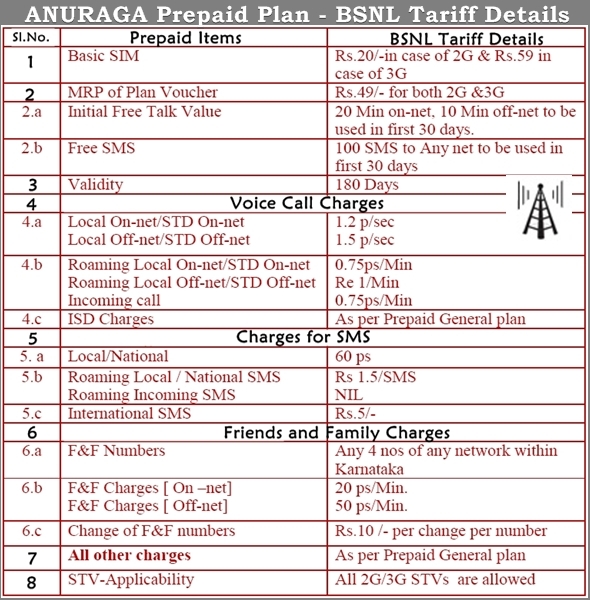 State-Run Telecom Sector Bharat Sanchar Nigam Limited (BSNL) launched new prepaid plan know as ‘ANURAGA’ under 2G and 3G GSM Mobile Prepaid Services across Karnataka Telecom Circle as promotional basis for limited period 90 days. To Activate or migrate to the above plan Customers can use Plan Voucher of Rs.49/- from Easy Recharge (C-Topup). The above Prepaid plan will be implemented and with effect from 01-08-2013 (upto 90 days from the implementation date).